Any mechanical contrivance designed to perform work normally requiring the exercise of human intelligence. Science fiction has been a constant fascination which has stayed with me through my life – the old black and white films are still the best! 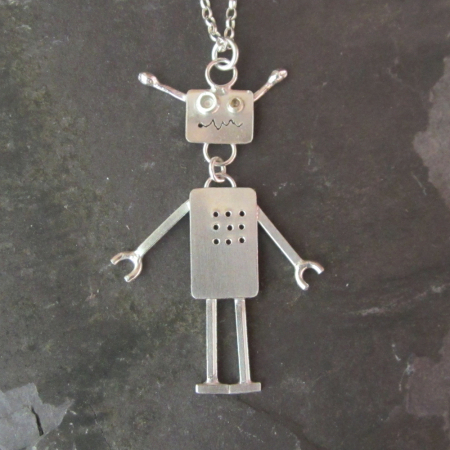 I think I was always going to make Robots, so being a jeweller the natural path was to personify them in silver. 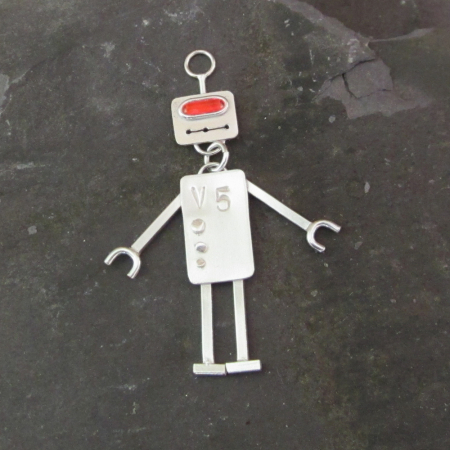 These first generation Robots were developed in my Silver Laboratory. 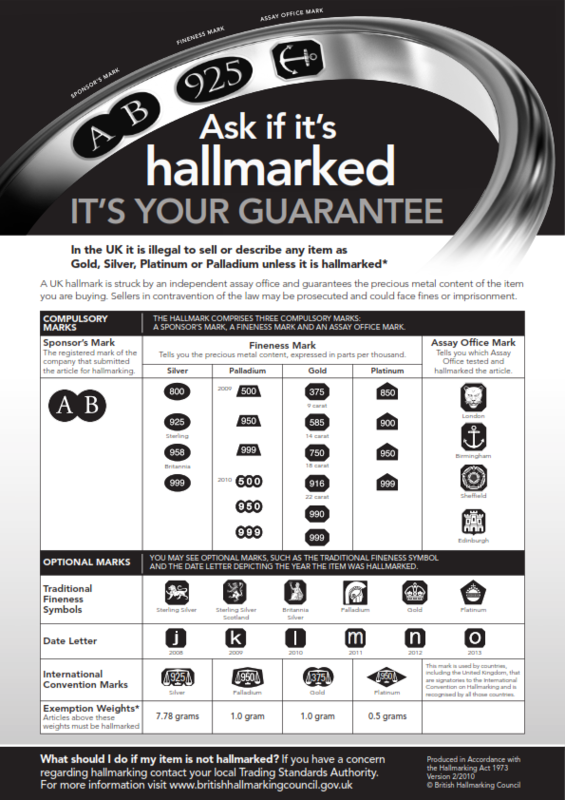 Each one is hand created and can be personalised with initials or a date of inception.